Who put their fingers to the keyboard? Richard Wolffe, executive editor of MSNBC.com and a former White House correspondent for Newsweek. How long is it going to take me to read this thing? The hardcover edition is 276 pages. However, if you’re like most people who don’t read the index, it’s 253. Totally manageable. How dated is this thing? It’s brand spankin’ new! It was released on Richard Wolffe’s birthday, September 17, 2013. 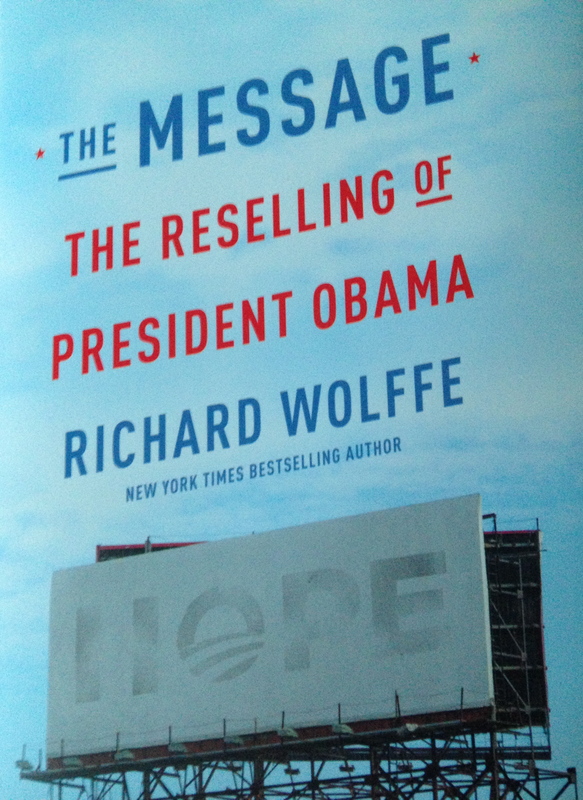 That is the through-line of Richard Wolffe’s latest work chronicling Barack Obama’s unlikely rise from the tough streets of Chicago to the Oval Office. (His first two titles on the subject are Renegade and Revival). This book is hardly a tale about rising, however. Nor is it really a story about the president, or his policies. This is an account of his inner circle, divided between Chicago and Washington, struggling to lead a campaign to victory as they simultaneously dragging each other down. The contentious cast of characters is a large mix of bluster and ego with Axelrod, Cutter, Gibbs, Grisolano, Margolis, Messina, Pfeiffer, and Plouffe leading the way. A compilation of old and new hands, they aren’t just the hopeful upstarts of 2008. Axelrod and Gibbs, two of Obama’s most tried and true advisors, have been pushed out out of the White House. Grisolano and Margolis are trying to do more with less ad money. Messina and an overworked Plouffe are trying to manage the big and small picture campaigns simultaneously. Pfeiffer is playing backup coordinator in Chicago, while also serving as the White House communications director. And Cutter is ticking lots of people off. This dysfunction, Wolffe argues, provides the setup for a series of message miscues and complications. Axelrod and Cutter bungle an opening assault on Romney’s Massachusetts record. Messina’s tech team is busy focusing on petty projects like Romney-centered web games, instead of simplifying online fundraising. Nobody can completely agree on how to tout Obama’s accomplishments without sounding pompous and out of touch. Somebody is leaking campaign strategy memos to the media. And err’body wants to be on tv. (Well, mainly Cutter and Axelrod). Yet, for all of this drama, Wolffe’s book doesn’t exactly pop like other campaign books of the recent past. There’s no Sarah Palin falling into a pre-debate stupor. There’s no Elizabeth Edwards publicly ripping her shirt open in the midst of a meltdown. And Bill Clinton’s not running off his mouth in South Carolina. There’s mainly just a bunch of political operatives acting like errant children. You know, typical stuff. What it does do better than most campaign books, however, is give you an inside look at the mechanics of spin. While most people are aware that campaigns twist words, they probably don’t know that the fundraising emails they trash are edited up to seventeen different times. Or that a few lines of a 15 second tv ad are debated for hours on end. And as sick as they are of those 29 presidential spots that fill up the airwaves, there are probably hundreds more versions they will never see. The little things, that’s where Wolffe’s book stands out. All they could do was craft a narrative that recast their lead character in a different kind of drama. They needed to rewrite the script of so many years of struggles, screwups, and downright failure (13). At the heart of the Obama drama was a political operative with the air of a bloodless executioner (45). The Obama team felt no qualms in copying the methods and strategy of politicians and operatives they professed to loathe (116). There were too many disputes to referee, and [Plouffe] cared little for morale problems: he just wanted to focus on winning. Axelrod, his former partner, was clashing with Messina, his protégé. Messina was clashing with Cutter, who had never gotten along with his other protégé, Pfeiffer (172). A White House that centralized power – controlling most policy decisions itself, rather than trusting cabinet secretaries and agencies – had lost confidence in its own campaign headquarters (176). If you enjoy nitty-gritty politics and infighting, you’d probably like this book. If you don’t, you probably haven’t even made it down to this part of the review because you stopped reading five paragraphs ago. (Note: I wasn’t asked to write this review, nor was I paid a single cent for it. I selected this book freely because of my somewhat sadistic love for politics. All images in this post are my personal photographs. No copyright infringement intended).